I am a full time licensed real estate professional who serves Greater Hartford and the Farmington Valley. I take great pride in helping clients with their real estate needs and achieving their real estate goals. I work in helping buyers who are relocating to Connecticut, buyers who are purchasing their first new home and move up buyers. I help sellers in preparing their home for sale, marketing their home and getting their home $old! I have leveraged my 22 years in the field of information technology and applied technology principles to real estate to best serve my home buyer and seller clients. 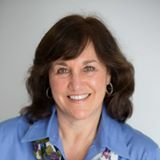 I am a dedicated and hardworking professional and I was recognized as the #1 RE/MAX agent in Connecticut in 2012, 2013, and 2014 based on sales volume. I have also received the Connecticut Magazine 5 Star Award for the last 5 consecutive years which only 6% of all Connecticut agents achieve. I have handled new construction and I listed and sold a 79 unit condominium complex in West Hartford, Connecticut. I have completed the GRI designation which is the equivalent to a graduate degree in real estate. I am also a Certified Residential Specialist (CRS) which 6% of all agents nationwide hold as a designation. For me it is critical to continue to enhance my real estate education in order to best serve my clients. I work closely with first time home buyers to educate them on the home buying process and pride myself on my repeat and referral business.